The full moon is just around the corner: at May 14 it is time for the Moon of Awakening. The Moon of Awakening is usually around Beltane and this moon’s name refers to the awakening of nature in spring. Today I was taking a walk in the woods near where I live. It has rained and all the leafs of the trees looked stunning in their vibrant green colours. The air was fresh and clean and the scent in the air brought a feeling of expectancy and new beginnings. This is a great time for planting seeds. As you do so, you may have the intention that the seeds you are planting represent certain things in your life you wish to manifest or renew. The full moon then helps to let go of everything that hinders the growth of your dreams, intentions and goals. 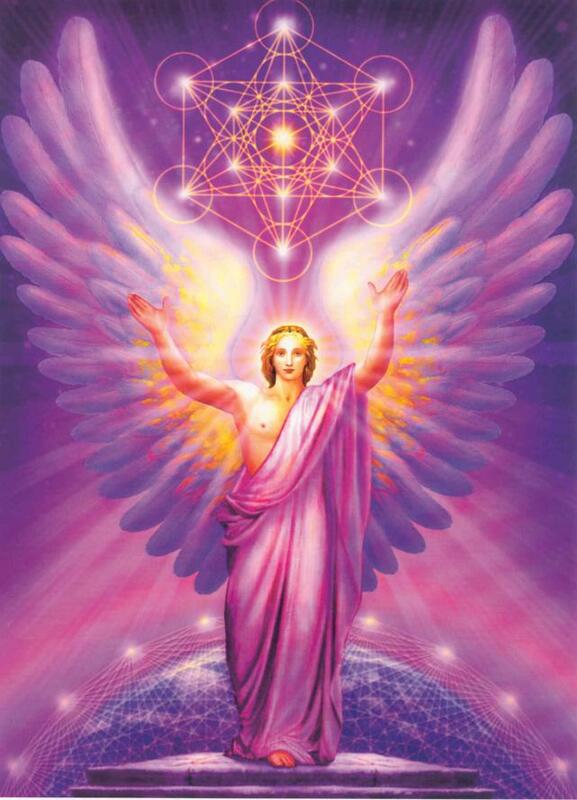 Metatron is one of the two archangels that are said to have lived human lives as a prophet, before they were rewarded with ascension to the realm of the Archangels. He is often depicted as a writer and he is sometimes called the Heavenly Scribe who oversees the Akashic Records. Here are all of our lives and deeds are recorded. Metatron is the guardian of the threshold between the world of forms and the formless. It is said that he holds the highest vibration of all the archangels. Nevertheless, his energy is delicate, soft, illuminating and it is pure universal love. Metatron is the beginning and the end. His energy opens the gates of consciousness and dimensions. He gives us knowledge, insight and clarity. Metatron lets us see what is holding us back and shows us the various ways forward. His energy brings silence, contentment, happiness and unity. Metatron is associated with the Merkabah, the celestial chariot of God. The vehicle of the Merkaba is now seen as the highest form of sacred geometry. This 6000 year old pattern with nineteen overlapping circles and equilateral triangles are intertwined and together form a perfect geometric shape. This image was called “Merkaba” in Egypt. Mer stands for light or energy, and Ka Ba for body and soul. This symbolized the Merkaba energy field that surrounds the human body. Through the centuries, philosophers, artists and architects have always seen the Merkaba, also known as the Flower of Life, as a symbol of perfection and harmony. It is therefore known as the ultimate symbol of sacred geometry in which the fundamental forms of space and time are stored. Archangel Metatron uses the Merkaba (also known as Matatrons Cube) for healing and the cleansing of lower energies. The cube rotates clockwise and its spinning movement pushes away negative energy. You might want to prepare for meditation by planting seeds that symbolize things in your life that you want to give shape. In addition, you can take the time to observe the Merkaba / Metatron’s Cube and memorize it. You may then clear and dedicate the space. I do this by calling in an ascension column of light, the platinum net and ascension flame. I also use the aura sprays I have created with my collegue Sabine (www.crystalangelessences.nl). 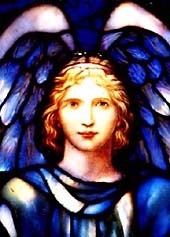 Especially the one called archangel Michael creates a high vibration and calls in protection at the same time. Now imagine that you travel to Archangel Metatrons Temple in higher dimensions. This temple shines deep hues of pink and dark green. It is an extraordinary building like nothing on earth and it consists of sacred geometric shapes. You reach the temple by a walkway and the temple seems to open automatically for you. In the middle of the temple Archangel Metatron is awaiting you. His arms are stretched above him and in the space between it rotates Metatron’s cube. You feel your eyes drawn to the delicate and intricate shape of the Cube. Metatron asks you what seeds you wish to plant in your life. He asks you to think carefully to make sure your wishes reflect your soul and not your ego. When it feels right, release the seeds to the angel. Then to see how the seeds are placed in the rotating cube and see them taking shape as symbolic plants or trees. They are gorgeous and fabulous and you watch them spring to life in awe. Angels enter the temple to bring the plants or trees outside where they will plant them into temple grounds. This way your seeds will always be rooted in the Light. Metatron now asks you if you want to receive healing in order for you to experience a spiritual rebirth. If you want this, then see how the Archangel places his cube around your body. Feel how its spins clockwise. Any lower or dark energy in your body or energy field is expelled by the spinning of the cube. Feel your energy increasing. You feel lighter and lighter. You thank the angel and say goodbye to him. You leave the temple via the bridge to return to where you started this journey. When you feel that are ready, bring your consciousness back to the room where you started. Move your hands and feet, stretch and feel your body making contact with the floor beneath you. Then blow out the candles, and let go of this meditation. Please make sure you ground extra well as Metatron’s Cube holds a very high frequency. You may also drink lots of clear water in the coming days, to aid the cleansing process. Doreen Virtue. Archangel 101. Hay House, INC., 2010. Feel free to share this meditation with others, but please enclose the source and copyright. 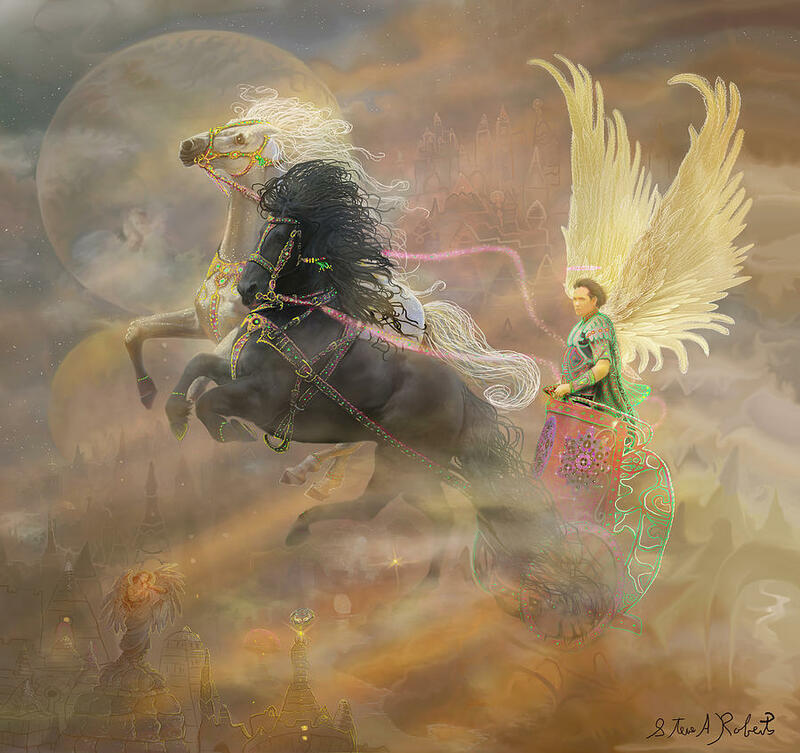 This entry was posted in Angel meditation, Moon Meditation and tagged 2014, angel light heart, awakening, full moon, may 14, metatron, moon meditation on May 12, 2014 by Angel Light Heart. Do you also feel that time seems to fly by ever more quickly? I was just reminded the moon is almost full by someone on facebook. Where does the time go? Lots of people are experiencing intense changes, energies and emotions. Now is the time to start living from the heart. This months full moon is seen as a Blue Moon by some systems. Some sources indicate that a blue moon appears when there are two full moons in a calendar month. According to this definition, there will not be a blue moon until 2015. An older definition appoints the Blue Moon to the third moon when four full moons appear in one season. According to that definition, the upcoming full moon a blue moon. Spiritually speaking, a blue moon is extra powerful and can be used to set goals and intentions of a spiritual nature related to yourself. This august moon is also seen as a harvest festival in pagan traditions, involving a harvest on a spiritual level. This may mean that you will see new solutions to old problems. A relationship can improve. Old patterns can be released and replaced by new ones. What is it that you want to harvest? What spiritual changes would you like to make in your life? These are excellent questions to ponder at this time. This full moon we will work with Archangel Michael because he can help in manifesting our deepest wishes. He helps us to change our thoughts to lighter thoughts and which will help us with spiritual goals. Like every full moon we meditate with a large group of light workers, all connected remotely via intent, at 20:00 Dutch and Belgium time. You can be present around the same time in your time zone or choose a different time and simply intend to connect to all the other light workers meditating here at 20 o’clock. • Find a place where you will not be disturbed. • Create a sacred space a way that suits you. For instance: burn incense, light a candle, place flowers on your altar, choose special crystals or invoke the elements. • You can write down your spiritual goals and intentions. • Sit down, ground yourself well, close your eyes and be present in your body. • Invite Archangel Michael and ask him to cut any negative cords between you and everything and everyone holding you back from living your Divine Blueprint. As you see him cutting the cords, release any negative attachments. • Now tell him about your intentions. Tell him what it is you would like to manifest. • He then shows you a round screen with a blue, sparkling edge. It is your Divine whiteboard and you can write or project anything on it that you wish to manifest. See it happen. Project everything on it: what does this look like, how does it feel, write it in words or images. This is your intention! • Michael asks you to look at the board and all you projected on it and to go deep within your heart to check if all that is on the board resonates in your heart. If you feel not all resonates with your deepest Self and your heart, change it around. You may want to add things or leave things out. Play with the image until it is finished. • Then send light from your heart to your manifestation board as Archangel Michael adds his special light to it as well. • Ask him if he has any wisdom to share with you. Perhaps there are steps you can take in your daily life to bring your intentions about. • You may now release the intention in the knowledge that the angels will help you to manifest this or something better for your highest good and the highest good of all. • Thank you Archangel Michael for his loving help and guidance and then return to your body. Ground yourself once more and slowly move your body. • You can write down any insights your received. I wish you a magical, blue moon. 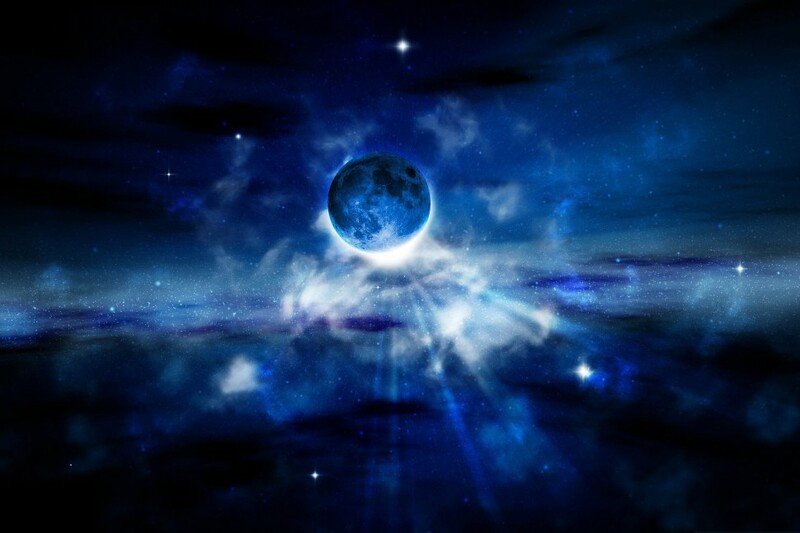 This entry was posted in Angel meditation, Light work, Moon Meditation and tagged 2013, angel light heart, angelic reiki, angellightheart.com, archangel Michael, augst 21, blue moon, meditation on August 20, 2013 by Angel Light Heart.